All the Facts You'll Want to Know! Grafton Duet - 2 layers cheddar surround a thick vein of St. Pete's Select Blue Cheese. "The Grafton Cooperative Cheese Company was founded in 1892 by dairy farmers who gathered together in a cooperative to make their surplus milk into cheese. In the days before refrigeration, there were many such cooperatives in the rural agricultural communities and an abundance of fresh, creamy milk was turned into a food that could be stored for a longer period of time. Today, quality and taste are the hallmarks of our company's award-winning, handcrafted cheese. The cheese company is part of the Grafton-based Windham Foundation, whose mission is to promote Vermont's rural communities. When you purchase Grafton Village Cheese, you directly support our mission! - Internally ripened variety made with raw, unhomogenized milk resulting in a true gourmet quality cheese. The cheese has a slightly more dense and yellow curd than most Blues. 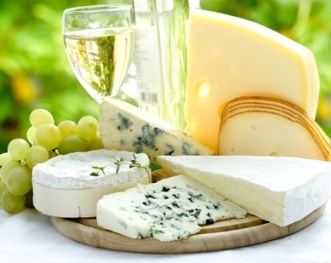 Aged, raw milk, hard cheeses include Cheddar, Alpine Hard Cheeses and various Soft Cheeses. "Hawthorne Valley Farm was one of the first dairies in the United States to be certified organic. Since 1972, producing high quality, biodynamic and organic foods while providing farm-based learning experiences for children and adults. Fresh chèvre - Wide variety of flavors. Ripened chèvre - With white bloomy rind, sweet, mellow flavor. Formed into cakes and pyramids. Harvest Cheese - Natural rind, firm goat cheese aged 4-6 mos. Nutty, grassy flavor. 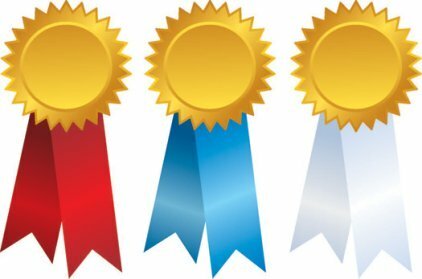 Multiple Award Winner! Harbison - Bark-wrapped, bloomy-rind cheese, sweet, herbal and woodsy flavors. Bayley Hazen Blue - Natural rind Blue cheese, with sweet, nutty flavor. Constant Bliss - Bloomy-rind signature cheese, tangy lemony flavor. Winnimere - Washed-rind from raw Ayrshire cow milk. Wrapped in spruce bark, bathed in beer. Peel away top and spoon out the custardy paste inside. Otentique - Mild, mold-ripened discs. Aged 10 weeks. Gruyère by Goat - Unpasteurized, firm and dense like a French alpine cheese. Tumalo Tomme - Mountain-style cheese, aged and rubbed on pine planks, with ivory to orange crust, deep, full flavor. Tomme Delay (Goat - Natural-rind, raw milk) Remember him? Barick Obama (Cow - Washed-rind, pasteurized milk, square-shaped cheese) Deliberately misspelled by her, no doubt. Master cheesemaker in the French tradition, Laini combines her passion for cheese with her passion for politics. Her farm operates entirely off the grid. Today she raises 40 Alpine goats and makes more than 10,000 lbs of cheese a year, with the help of just one apprentice. Trade Lake Cedar - (Sheep - Raw, natural rind), aged on cedar boughs, aromatic and woodsy flavor. Aged 2 1/2 mos. The Gabrielson Lake - (Cow - Raw, natural rind), aged 3+ mos. From Jersey cows, sweet and buttery flavor. Young Artisan Sheep Milk Cheeses - currently available are the "Holmes" Series. Hand-ladled, non pressed cheeses, aged 4-6 weeks. Love Tree Farmstead, in Northern Wisconsin, is part of the Farmstead Cheesemakers' Movement. The Falks have farmed organically for 19 years, and began a breeding program for their Trade Lake sheep, as part of their goal over the next 10 years to secure a sustainable dairy sheep industry for northern Wisconsin and to help prevent the slow demise of the small family farm. - Aged, raw sheep milk cheese - the country's most famous and oldest sheep milk cheese. Handmade during spring and summer so limited supply - available late August until supply runs out. Aged 4-8 mos. High in protein, but low in fat. Smooth, creamy, rich and sweet flavor. The Ielpi and Major families pasture and milk the sheep, make and age their cheese on 250 acre farm in Vermont. Multiple Award Winner, year after year. Visitors can taste and purchase their cheeses and other products at Farm Store located on the road into farm, 7 days a week, year round. Maytag Blue - World famous. Creamy, delicious. Video Tour on Site, Mon-Fri 8-5 and Sat 9-1. Cheese shop overlooks cheese plant and farm. Since 1941, Maytag Dairy Farms has been making their world-renowned Maytag Blue. The Farms are still owned by the Maytag family (of appliance fame). Grayson - In the tradition of an Italian Taleggio or French Livarot, made from Jersey cow milk. "Soft, finely textured, rich and beefy with pungent aroma and a nutty, sweet overtone. Surface ripened with a thin reddish-orange washed rind. Loaves are approximately 7" square, 2" high and weigh an average of four to five pounds. Generally available June through March." Appalachian - "Buttery, slightly sweet cheese, fruity lemon notes which shade into toasted as the cheese ages. The texture of cheese is distinctive, melting on the tongue. Loaves are around 2.5" high, 8" square and average 8 pounds in weight. Generally available June through March." Meadow Creek Dairy is a family farm in the mountains of southwest Virginia. The Feete family has been farming and cheesemaking since 1980, raising their Jersey cows to produce the highest quality milk and ecologically friendly cheese. From sea to shining sea, America is host to a large and ever- growing Gourmet Cheese movement. Investigate all the American Artisan Cheeses yourself with these books. Click on any image to to place your order! - G.C.D. Cheeses: Renowned Mozzarellas of all kinds, Fresh Goat Cheeses, Ricotta, Mascarpones, Queso Frescos, Scamorzas, Burrattas, Fetas - Varieties galore! One of America's foremost pioneer cheesemakers, Paula Lambert fell in love with Mozzarella when on a long stay in Perugia, Italy. Today she makes her cheeses following centuries-old Italian traditions. Offers classes in cheesemaking, in wine and cheese pairing, beer and cheese pairing. Kunik - A semi-aged, triple crème made from goat milk and Jersey cow cream - rich and delicious. Simply Sheep - Their newest cheese, 100% sheep milk. Semi-aged, flavor becomes more robust as it ages. Three Sisters - A triple delight - Bloomy-rind, firm texture, made from goat, cow and sheep's milk. Here is their slogan - a great one I think - "Happy Goats. Great Cheese!" Lorraine Lambiase and Sheila Flanagan own and operate the 50 acre Nettle Meadow Farm and Cheese Dairy up in the Adirondacks. Founded in 1990, it is now home to over 300 happy goats and sundry other farm animals who are part of their farm sanctuary. Open Thurs to Monday, 11 to 3, for tours and cheese sales. Gouda - Raw Cow's milk, hard pressed, cooked, gouda-style, very similar to the Dutch Goudse Boerenkass cheese. Smooth, buttery and creamy. A joy to taste. Orb Weaver Vermont Farmhouse Cheese - (Raw Jersey Cow Milk), buttery in color, creamy in texture,a bit moister than a cheddar. 2 lb. waxed wheels, as well as cave-aged available. Cheeses are sold on site. Nancy's Hudson Valley Camembert - (sheep and cow's milk), renowned Award Winner! Ewe's Blue - (sheep's milk) - Artisanal American Blue Cheese in the roquefort style. Creamy texture and subtle blue overtones. Cheesemaking began at Old Chatham in 1994, with a herd of 150 sheep. Today the farm boasts over 1,000 East Anglian crossbred sheep and is the largest sheep dairy farm in the U.S.! Visitors welcome! Last Saturday in April is "Farm Day", like a country fair with flock-shearing and other activities. Elk Mountain - Raw milk, firm paste cheese, slightly dry, nutty and robust. 7 lb. wheels. Hillis Peak - Raw milk, semi-hard, natural rind, rubbed with oil and paprika. 2.5 lb. wheels. Takelma - Raw milk, semi-soft, washed-rind. 70-90 day aged. 6 lb. wheels. Covered Bridge - Raw milk, semi-soft to semi-hard, washed curd. Aged 3 mos. The Caldwells care for a small herd of Nigerian dwarf goats and make under 100 lbs. of cheese a month. Truly a small production cheese dairy. Nigerians do not produce much milk, given their size, but what they do produce is unique ... and so is the cheese! Their milk has the highest percentage of butterfat of all goat breeds (> 8% butterfat and > 5% protein). The goats are pampered and so are the cheeses while they age in the affinage room. Motto: "If we can't remember the doe's name, we have too many goats." The farm is "off-the-grid". Original Blue - Aged 5-6 mos., creamy, luxurious. All natural, kosher. Sold in different sizes: wheels and wedges. The Giacominis say the secret to their fabulous Blue lies in 3 ingredients: Raw cow milk from their Holsteins grazing on organic pastures, coastal fog and salty Pacific breezes ... in other words the magical terroir of their farm in coastal California! The Giacomini Family cheesemaking tradition dates back over 100 years to the mountains of Italy. Camellia - "Camembert-Style goat cheese with mild, buttery flavor and firm texture when young, becoming softer and more complex with age. The white, edible penicillum candidum rind ripens the cheese from the outside inwards, becoming fully ripe when the center is soft to the touch (like a ripe peach)". Cameo - "Semi-soft Camembert inspired bloomy-rind cheese covered with a variety of fresh herbs. 8 oz." California Crottin - "Traditional French-style California Crottin goat milk cheese has a wrinkly, geotrichum candidum rind, a fluffy texture and robust, earthy flavor. Crottin is one of our most decorated artisan cheeses, twice voted Best Farmstead Goat Cheese by the prestigious American Cheese Society, and chosen as the best Crottin in a Wall St. Journal tasting." Sharp and Smoked Goat's Milk Cheddars. Also goat's milk yogurts and soaps. Family owned and sustainably farmed since 1968. Their cheeses are Multiple Award Winners. Online virtual tours of the farm, dairy and cheesemaking facility. Springtime Farm Tour Weekends. Call for dates. Rogue River Blue - Best in Show Award at 2011 American Cheese Society Competition! Raw cow's Milk Blue Cheese, natural rind, aged up to 1 year in cellars designed to simulate the caves in Roquefort-sur-Soulzon, France. Caveman Blue - Slightly sweet Blue with rich, complex flavor. Crater Lake Blue - Most robust Blue they make. Oregonzola - Gorgonzola-style, aged 120 days. Dating back to 1935 and the renowned Vella Family, Rogue Creamery's first roquefort-style cheese was produced in 1956. Cary Bryant and David Gremmels were selected by Ig Vella to carry on the tradition as the new owners of Rogue Creamery.